Movidius, the leader in low-power computer vision, and DJI are bringing new levels of autonomy to DJI aircraft through a sophisticated vision-aided flight system. The technology debuted in DJI’s flagship Phantom 4 aircraft, giving it the ability to sense and avoid obstacles in real time and hover in a fixed position without the need for a GPS signal. The agreement marks an industry first in making advanced visual guidance systems a standard feature for consumer drones. Such systems are expected to enable a broad range of new industrial and recreational applications that were not possible before. DJI, the world’s leading maker of drones and aerial cameras, has developed specialized software algorithms in spatial computing and 3D depth sensing. These algorithms coupled with the Movidius’ Myriad 2 VPU gives the DJI Phantom 4 drone the ability to sense and avoid obstacles in real time, meaning more autonomous flight functions, and improved awareness of flight space while in the air. Other visual intelligence features include improved vision-based tracking modes and advanced mapping capabilities. DJI’s vision algorithms were designed from the ground-up for real-time aerial autonomy. The performance-to-power ratio advantage of theMyriad 2 VPU — MA2100 matched DJI’s algorithm closer than any other traditional processor solutions. DJI is a global leader in developing and manufacturing innovative drone and camera technology for commercial and recreational use. DJI’s global operations currently span North America, Europe and Asia, and its revolutionary products and solutions have been chosen by customers in over 100 countries; for applications in film, advertising, construction, fire fighting, farming, and many other industries. Movidius is the leader in high performance, ultra-low power computer vision technology for connected devices. 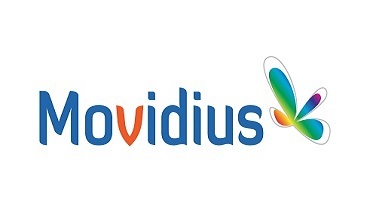 By marrying sophisticated software algorithms to a powerful, purpose-built Vision Processing Unit (VPU), Movidius brings new levels of visual intelligence to smart devices. Movidius’ dedicated machine vision solutions enable a new wave of intelligent and contextually aware devices including drones and AR/VR devices. With offices in Silicon Valley, Ireland, Romania and China, Movidius is a venture-backed company with investors including Atlantic Bridge Capital, Draper Esprit, Robert Bosch Venture Capital, and Summit Bridge Capital.